You’ve got to try these from Lindsay S. Nixon, otherwise known as Happy Herbivore! Adopted from Ann Esselstyn, this recipe uses hummus, Dijon mustard, and spices put into a scooped out baked potato. Ingenious! I didn’t have black salt, so I just used regular salt. I used Smoked Paprika, Amir Roasted Red Pepper Hummus and lots of regular yellow mustard (not 1/4 tsp. Dijon like she called for). When you go get the recipe using the link below, check out how cute and realistic they look. I know what I’m taking on Easter! Rich & decadent without eggs, fat and cholesterol. Made from firm tofu, nutritional yeast, cornstarch (I threw out my old cornstarch and used organic so it wouldn’t be GMO), Dijon mustard (I used regular yellow mustard), cremini mushrooms (I used what I had) and frozen spinach. 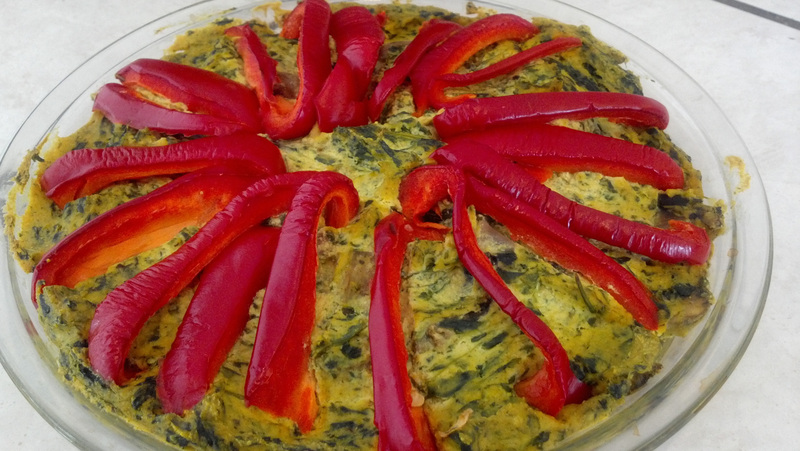 Great for Easter or Christmas breakfast! 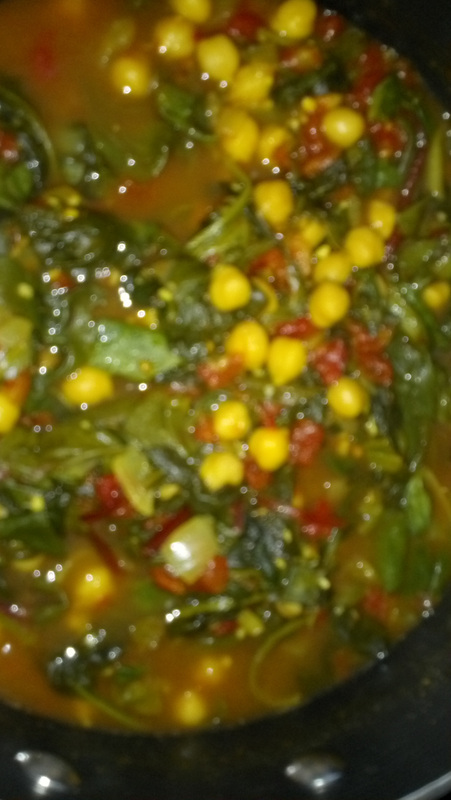 Chana Palak Masala (Spicy Indian Stew featuring palak (spinach) and chana (chickpeas). Boy, this was good! I used Rotel Original Diced Tomatoes with Green Chilies instead of canned peeled whole tomatoes, so it was spicy. know it. Therefore that’s why this article is great. Thanks!